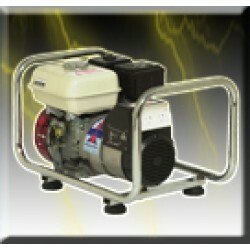 At Crowell Benson Power and Water, when it comes to Portable Petrol Generators, we have done the homework for you, to take the stress out of finding a well suited unit. Our range Consists of Advanced Powers Workmate Range fitted with Honda engines and Crommelins Machinery’s Suburu equipped range to ensure we have every power requirement covered. 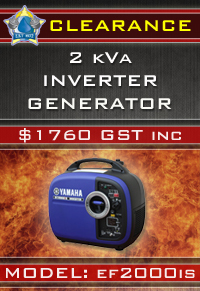 Model: Ph60 6 kVa Petrol Generator (Prime Power) Model: Ph60 Honda Powered: ..
P80 - 8.0 kVa Petrol Powered Generator Product Safety Sheets Generators Brochure ..
P100E - Petrol Powered Generator High performance standard condenser type generator, 10..